"Stay for a day and wish you had booked for longer"
Hike in the Cape Breton Highlands: Explore 26 hiking trails in the Cape Breton Highlands National Park ranging from easy strolls to challenging climbs – all leading to panoramic views of canyons, highlands, and coastlines. Don't miss the annual Hike the Highlands festival that takes place over 10 days each September in the Cape Breton Highlands. Hikers from around the world come to Cape Breton Island to participate in guided hikes, evening activities, and more. Hike 10 trails in one day: This hiking challenge in the Cape Breton Highlands National Park welcomes visitors to experience 10 shorter trails while discovering a variety of habitats - Acadian, Boreal, and Taiga. The park’s staff can help you choose the right trails for you. Once you finish, bring the list of your completed trails, along with photos, back to the park’s centre for a chance to win a prize. The Skyline Sunset Hike: at the Cape Breton Highlands National Park on the Cabot Trail is recognized as one of Destination Canada's Signature Experiences. The trail guide will lead you out to the top of a mountain headland to one of the most spectacular panoramic views in the province that overlooks the Cabot Trail and the ocean at sunset. Hike the Lighthouse and Old Town Trails in Louisbourg which offers impressive views of the Fortress of Louisbourg and its rugged coast. The 2-kilometre Lighthouse Trail starts at the Louisbourg Lighthouse and winds through forests and wetlands, along the coast where soldiers once stood guard protecting Louisbourg Harbour. The nearby 2.25-kilometre Old Town Trail lies just outside the fortress walls, with interpretive panels telling the story of the people who once lived and worked there. Hike the Cape Mabou Highlands, a 30-kilometre wilderness trail system known for remarkable cliffs and rolling hills such as Beinn Bhiorach (Steep Mountain) Trail, which takes you about up 225 metres above sealevel. Go kayaking to evoke your inner artist with North River Kayak Tours. Dipping your paddle alongside seals and seabirds, while surrounded by our rugged coastal cliffs, can bring out the artist in anyone. North River Kayak Tours offers tours like The Songwriting Kayaker and The Painted Kayaker. Attend a powwow at the Wagmatcook Culture & Heritage Centre. Experience a story over 10,000 years in the making. Learn about the music, storytelling, nature, food, language, and spirituality of Nova Scotia’s first peo¬ple, the Mi’kmaq, in a beautiful setting on the shores of the sparkling Bras d’Or Lake. Cycle the Celtic Shores Coastal Trail.This 92-kilometre multi-use trail winds through the communities of Judique, Port Hood, Mabou, and Inverness. Along the way, you’ll find active fishing harbours, beaches, exhilarating views, museums, restaurants, and accommodations. Include the trail in a multi-day cycling or trekking itinerary, or stop for an hour or two to take in the natural beauty of this area. Whale watching In Bay St. Lawrence where pods of Atlantic pilot whales spend their summers gorging on squid. Tuna fish and experience the ultimate adrenaline rush as you battle the giant Bluefin tuna with Dawn Treader Tuna Charters or It’s Now or Never Tuna Charters. Go salmon fishing on the Margaree River. For generations, anglers have been lured to the Margaree’s tumbling rapids, deep pools, and still marshes. Take a Bird Island Boat Tour to see the Puffins. The dramatic Bird Island rise from the seal like rocky pillars. Take a tour with Bird Island Boat Tours, winner of a 2014 Certificate of Excellence from TripAdvisor and see thousands of nesting sea birds and over 300 pairs of Atlantic puffins. Sail the Bras d’Or Lakes with Cape Breton Sailing Charters. Known for gentle, fog-free waters, beautiful anchorages, hundreds of coves and islands, and abundant wildlife, the Bras d’Or Lake is also part of a UNESCO Biosphere Reserve. Schedule a beach day and swim in the Atlantic. The warmest waters on the Island can be found Ingonish Beach, if waves is what you love, grab your boogie board and head to Black Brook Beach. Order ice cream in a lighthouse. Visit the retired Neil's Harbour Lighthouse in Neil's Harbour on the Cabot Trail where you can order ice cream from the shop inside the lighthouse. Highland Bow and Arrow Highland Bow & Arrow is a roadside archery attraction on the Cabot Trail near Wreck Cove, Cape Breton Island. Targets, 3D targets and games! Discover Cabot Links and Cabot Cliffs, North America’s only truely authentic links courses where, with playing theses authentic seaside links courses in Inverness, comes with the exhilarating understanding that you’re playing the game exactly as its inventors had intended. Opened in 2012, Cabot Links has quickly become one of North America’s most talked about courses while Cabot Cliffs, celebrating its grand opening in summer 2016, has already caught the attention of the golf world and was listed as #19 on Golf Digest's 100 Greatest Golf Courses in the World for 2015. 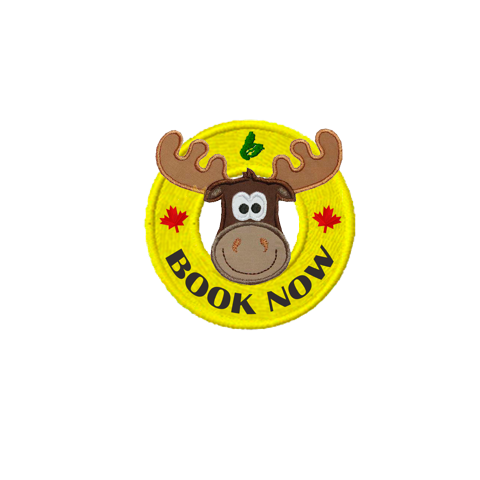 Celtic Colours International Festival - Dozens of concerts, an extensive line-up of community events, and a nightly Festival Club will leave you feeling like a Caper in no time. Great Hall of the Clans at the Gaelic College, St. Ann’s Take a hands-on approach to discovering our Celtic heritage by joining in a kilt making, milling frolic, or step dance. Rita’s Tea Room - The legendary songstress Rita MacNeil was one of the most influential people in putting Nova Scotia on the map, through her music and old-fashioned hospitality. Celtic Music Interpretive Centre - Take an interactive journey through samples of song, stories, dance, and bagpipe and fiddle music. Interpretive media displays let you try your hand at a fiddle tune or learn how to stepdance. Take in a cultural performance at Strathspey Place in Mabou. At this state-of-the-art performing arts centre, Cape Breton’s rich diversified culture is celebrated through Celtic music and the music, dance, and folklore of the Acadian and First Nations communities. Delve into the arts at Inverness County Centre for the Arts. This fine arts centre showcases the works of local and international artists in its gallery, music studio, and shop. Craft Your Wedding Rings – create a special memory by crafting your own wedding bands working one-on-one with a jewellery instructor to shape, mark, and shine your rings at Cape Breton Centre for Craft & Design. Centre de la MiCareme – Celebrated by local Acadian communities for centuries, try your hand a mask-making or rug-hooking. Big Spruce Brewing – With names like Ready Yer Knot… and Bitter Get’er India Black IPA, these craft brews are sure to sand out at a party. The brewery features full-flavoured, unfiltered, unpasteurized, and delicious certified and organic beers. When Bricin and I (Peter) flew over to Cape Breton from Vancouver to look at the Church, we had the opportunity to meet the owners of the brewery and realized the entrepreneurial spirit was alive and flourishing in Cape Breton, unfortunately we were unable to sample the merchandise, but this will be one of our first ports of call when we return..
FireHouse Ironworks, apprentice with a local blacksmith and experience first-hand the art behind this traditional trade. Classes range from two to four hours. Eileanan Breagha Vineyards is the first and only estate winery on Cape Breton Island. The vineyard is perched upon Marble Mountain overlooking the Bras d’Or Lakes, stop in to sample and purchase some wine. St. Ann’s Bay Artisan Loop which features a diverse collection of studios and shops, including Iron Art and Photography, Wildfire Pottery, Glass Artisans, Leather Works, and Piper Pewter. Glenora Distillery - Stop in to try North America's first distiller of single malt whisky. The distillery also has an inn, pub, dining room and gift shop surrounded by a courtyard with a running brook in the heart of Cape Breton. Ceilidhs in Baddeck, join local musicians as they share the stage in these intimate two hour sessions of traditional Cape Breton fiddle music accompanied by piano, dance, and folklore. Whale Interpretive Centre - Dive into the world of whales with life-sized models, exhibits, interactive media, and a saltwater livestock tank. Then joint a boat tour captain in Pleasant Bay, Bay St. Lawrence, or Neil’s Harbour to see the real thing. First flights, kites and White Glove Tours at the Alexander Graham Bell National Historic Site will give you a behind-the-scences glimpse into Bell’s life. Experience the life of a French settler at the Fortress of Louisbourg National Historic Site. North America’s largest historical reconstruction. Walk in the miners’ footsteps at the Cape Breton Miners’ Museum as you take an underground guided tour of the Ocean Deeps Colliery, a coal mine beneath the museum. Visit Les Trois Pignons where Chéticamp’s Acadian history and culture come alive through its world-famous hooked rugs and antiquities. Discover a historic shipping passageway at St. Peters Canal National Historic Site. For over 140 years, this canal has been a busy gateway between the Bras d’Or Lake and the Atlantic Ocean. At the Wallace MacAskill Museum you can explore the birthplace of Wallace MacAskill, the famed marine photographer whose photograph of the Bluenose is memorialized on the Canadian dime. Experience authentic Mi’kmaw culture by sharing a traditional feast, hearing stories and music, or learning through participation in traditional fishing practices of the Mi’kmaq with Eskasoni Cultural Journeys. Visit the birthplace of wireless communications at Marconi National Historic Site. At the Membertou Heritage Park learn about the culture and history that the Mi’kmaq of Membertou maintain to this day. Take a ghost tour … if you dare... and learn about the ghosts & legends of historic Sydney. Costumed guides take you through haunted heritage homes and graveyards, enthralling you with stories of ghostly residents. Skeletons in the cellar, bodies under the floorboards, tales of ghostly visions, and the location of a triple execution - this is just a sample of the spooky stories of Old Sydney that await you! Cape Breton Fossil Centre - Sydney Mines is one of eight important fossil sites in Nova Scotia and home to a fossil forest. Guided tours of the Cape Breton Fossil Centre are offered daily; guided tours of the nearby fossil cliffs, where visitors can walk the beach and find fossils to be identified by the on-site geologist, are available twice per week. Don't forget to ask us about some wonderful hidden gems. The most asked question. Should I drive clockwise or counter clockwise around the trail? Counter clockwise is certainly less traveled , and likely you would not encounter buses and RV's near as much. If you travel in a clockwise direction, you'll be on the "inside" lane as you drive along both coasts. Because the road goes up and down steep grades and curves, the clockwise direction is better for drivers (and passengers) who dislike driving next to steep drops. Many of the turnoffs into Cape Breton Highlands National Park are right turns if you are traveling clockwise. Driving counter-clockwise may give you a better view of some of the more spectacular ocean vistas along the way. While this direction is less popular (it's billed as the direction for the brave driver), it may be easier to handle if you dislike slow traffic, as fewer people travel counter-clockwise.